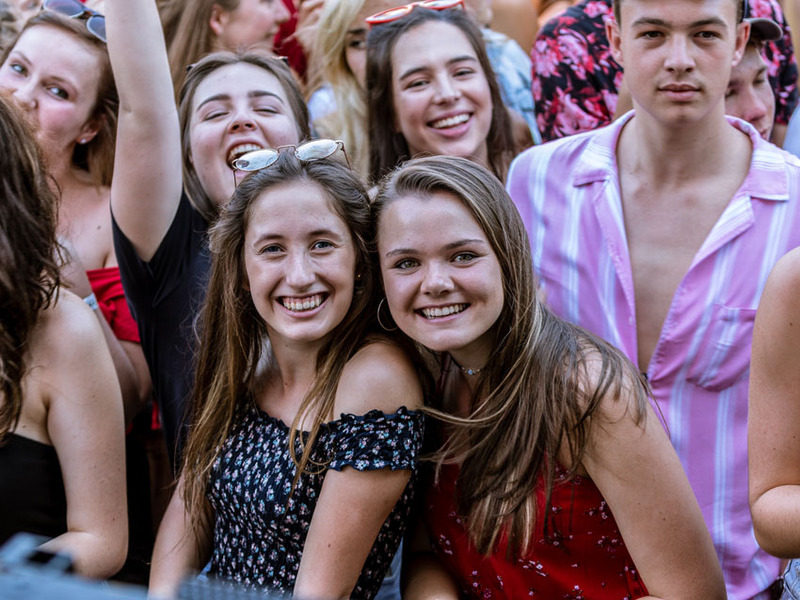 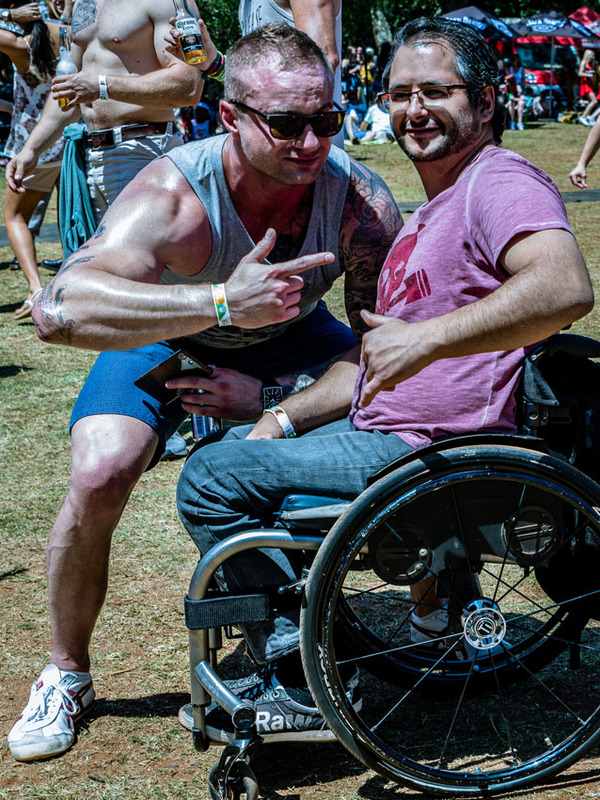 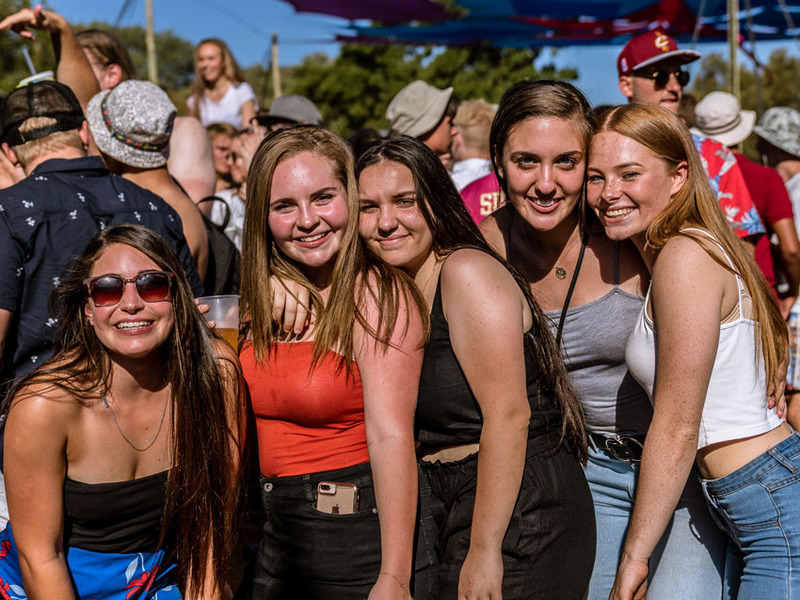 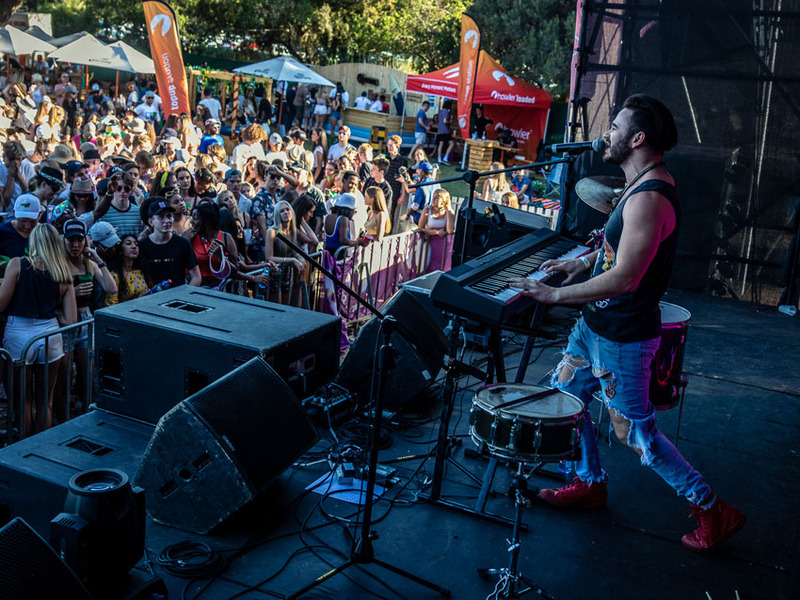 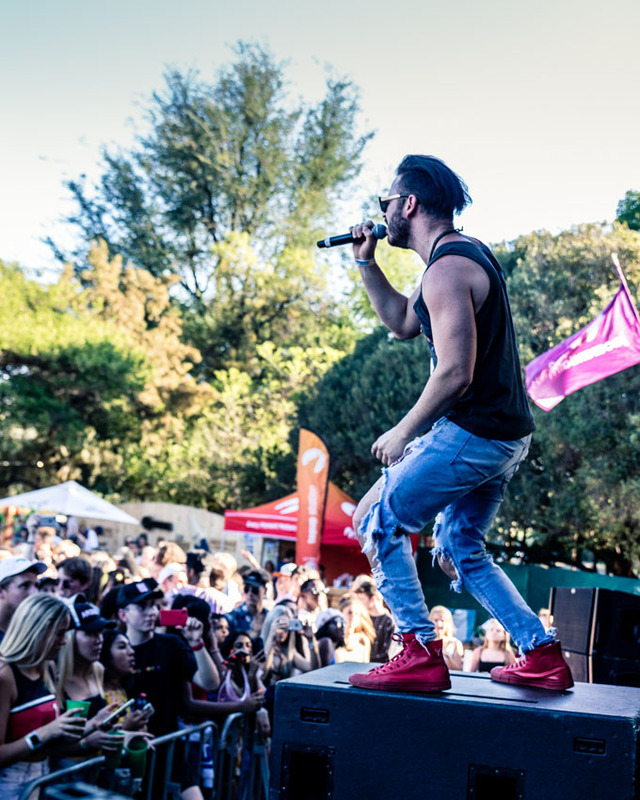 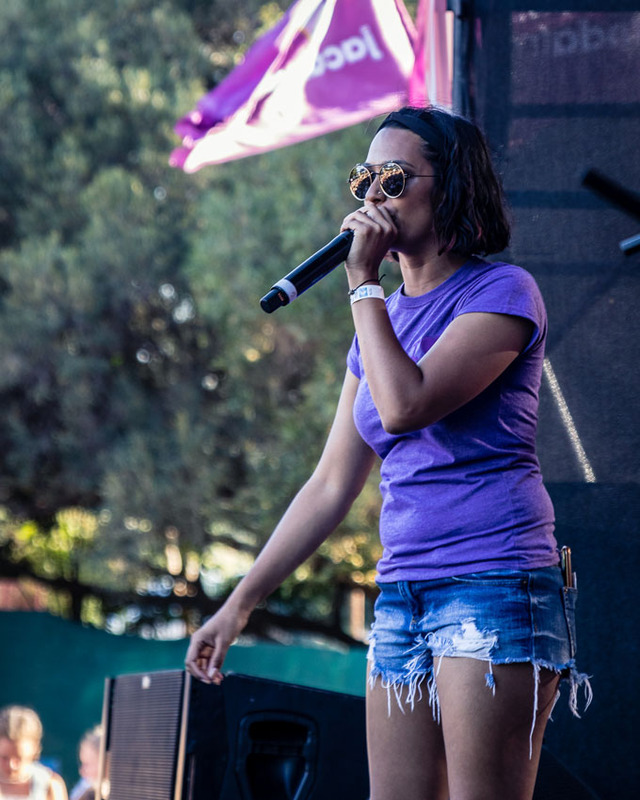 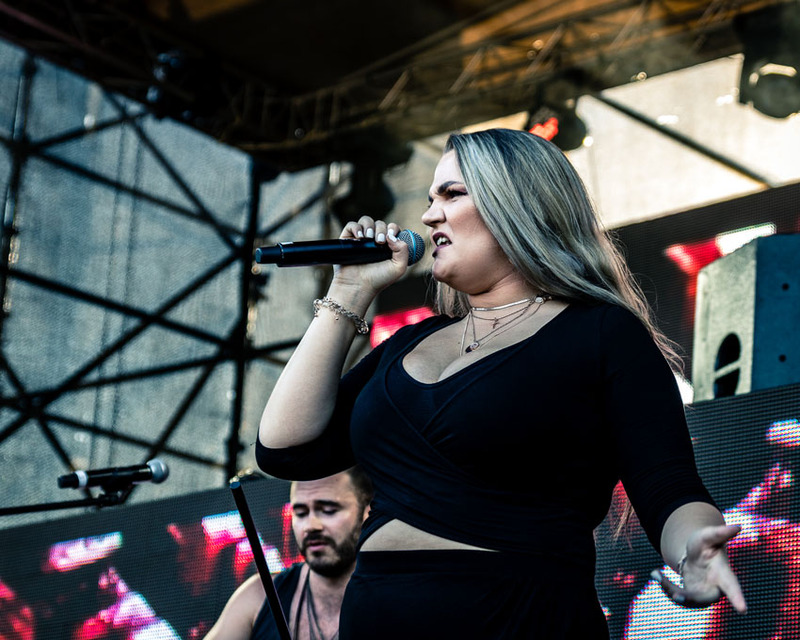 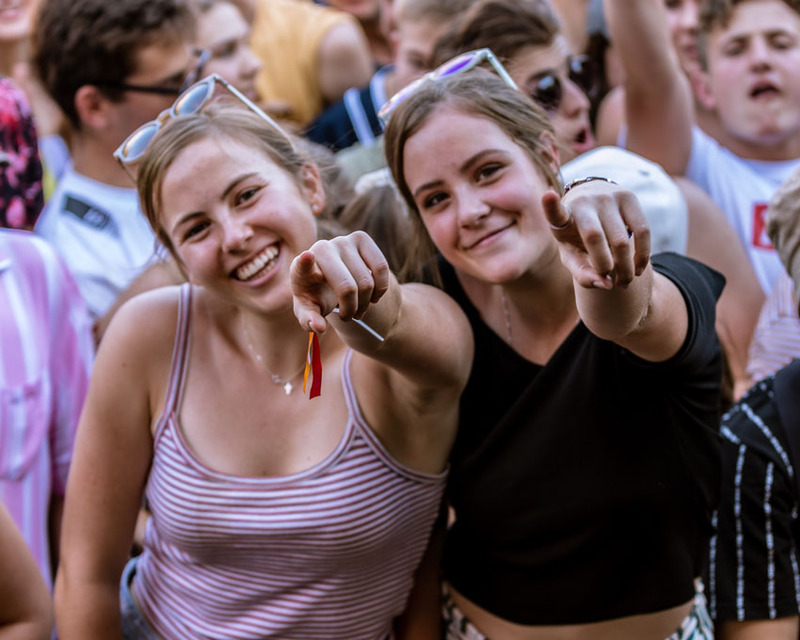 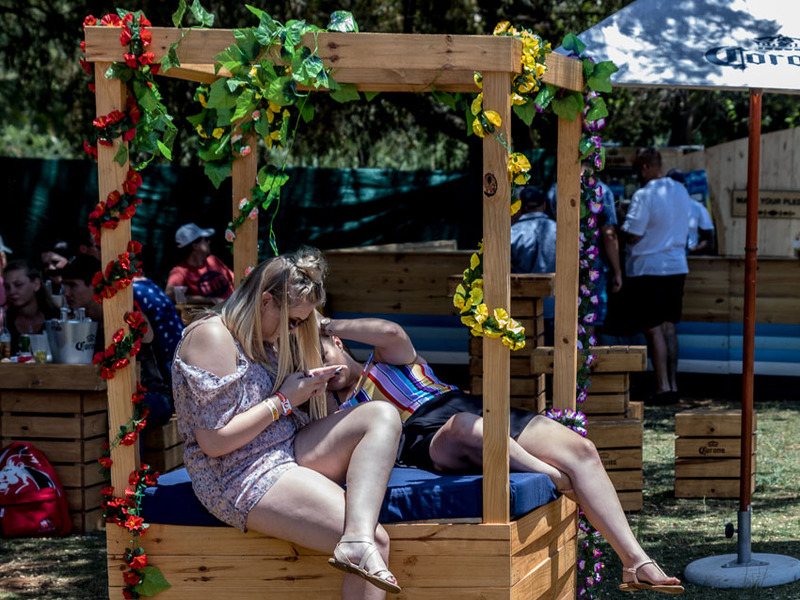 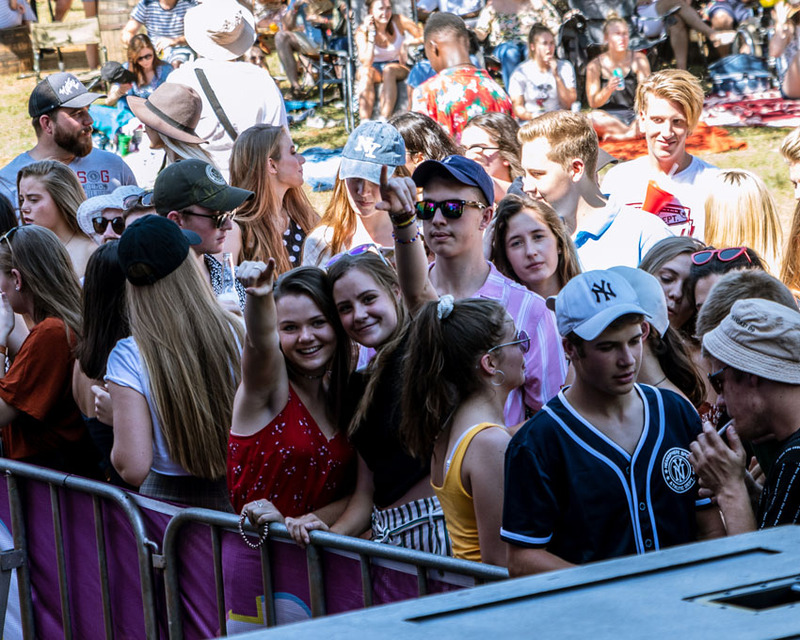 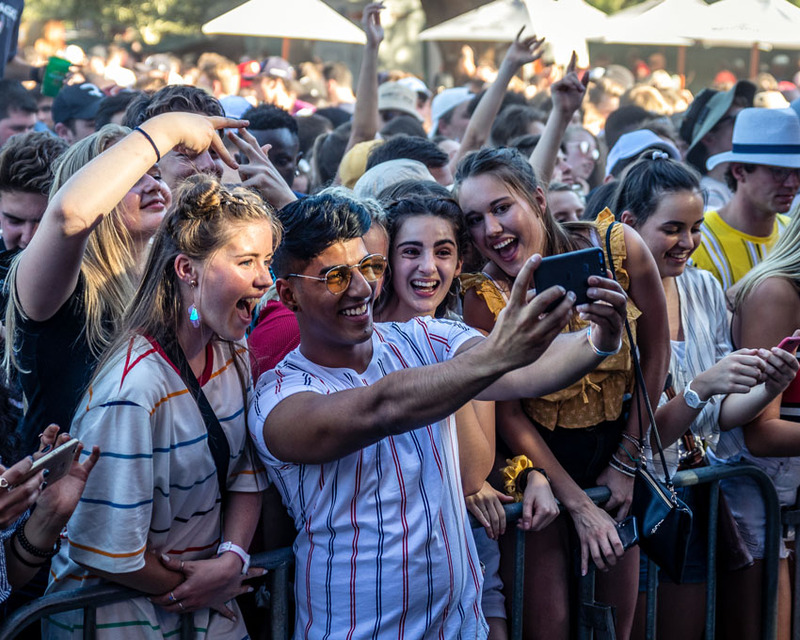 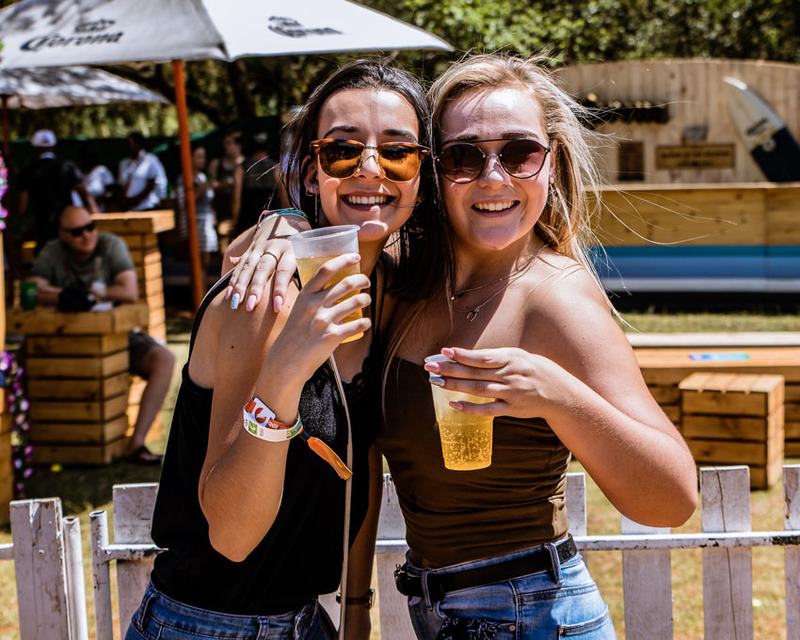 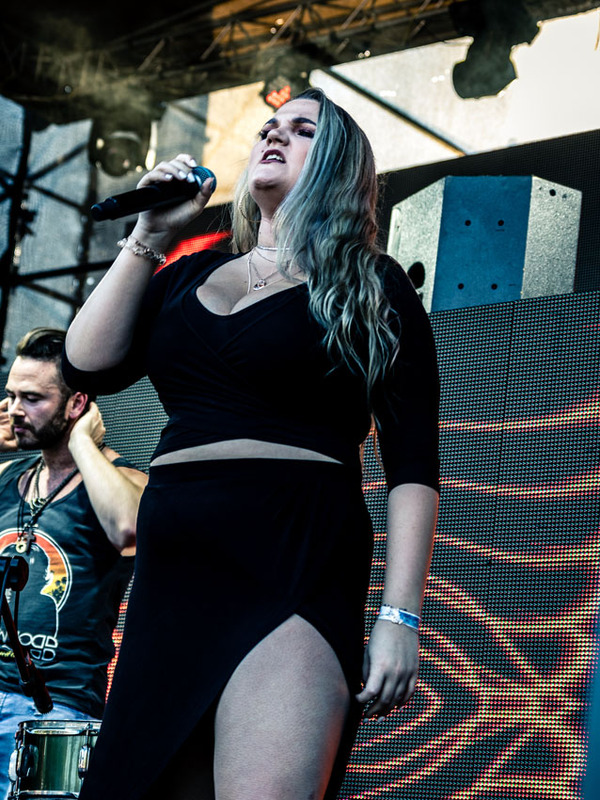 Scorching heat, playsuits, shorts and sneakers – the "Pretorians" came out in numbers to party in the garden with Oasis and Jacaranda FM. 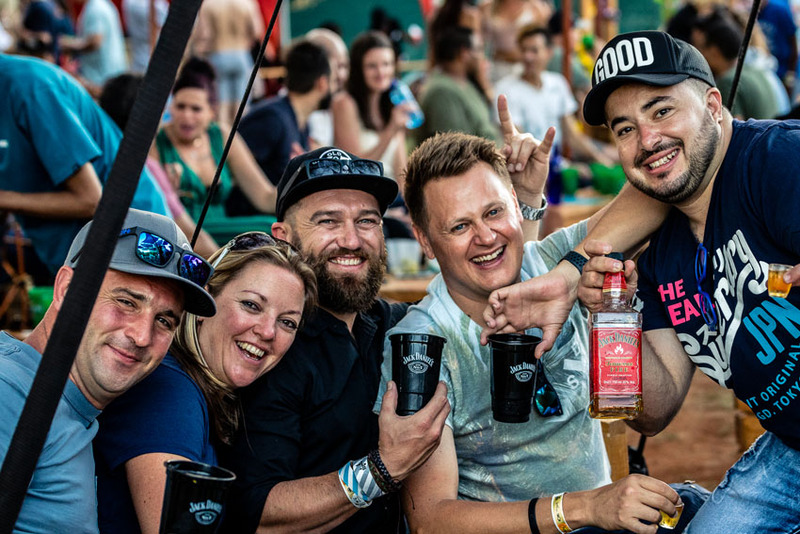 A fairly young crowd with a healthy selection of “adults” braved the 35-degree weather to have some time out with their family and friends, trying out the incredible selection of food vendors and the drink sponsors who kept everyone hydrated with their choice of drinks. 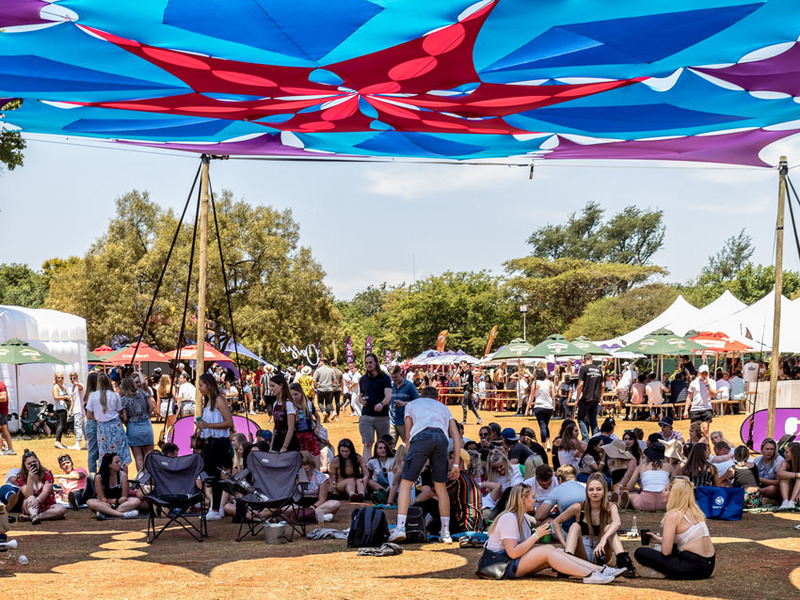 The crowd came in their thousands, some already booking their chill spots all over the gardens with blankets and camp chairs, ready for the beats to keep dropping. 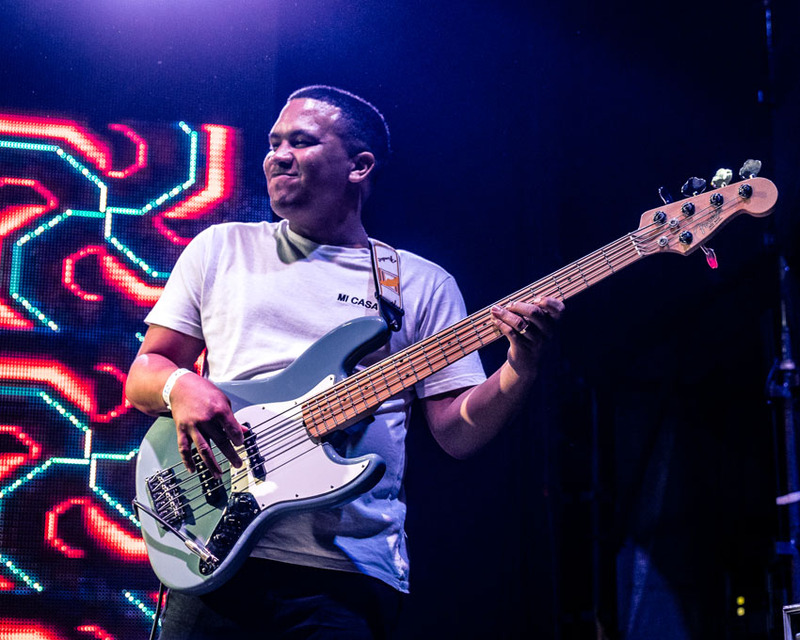 Momentum started picking up when DSCO Cam ft Duard graced the stage with funky bass guitar tunes, feet tapping, heads bobbing. 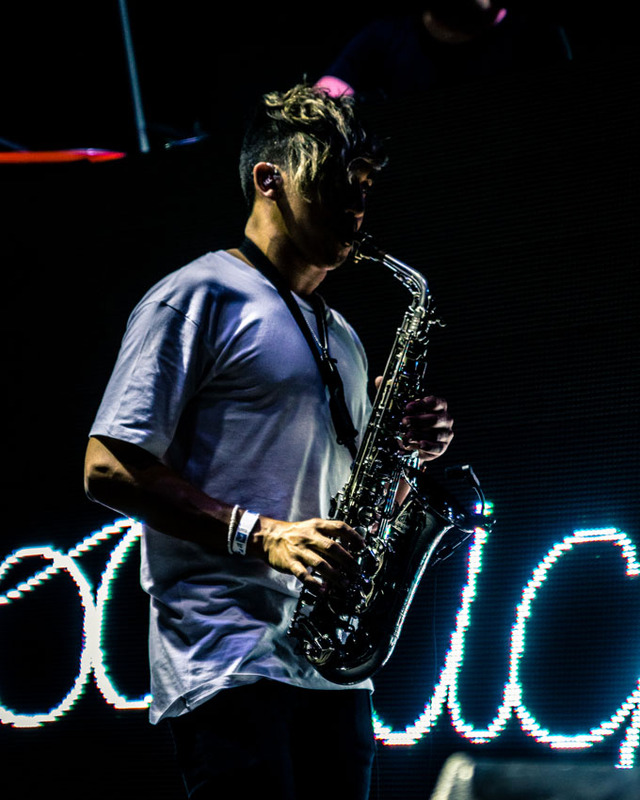 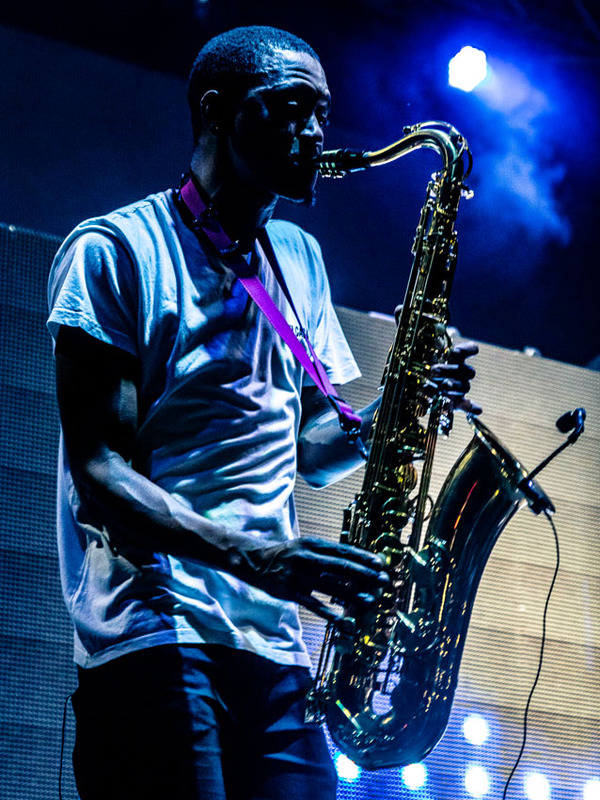 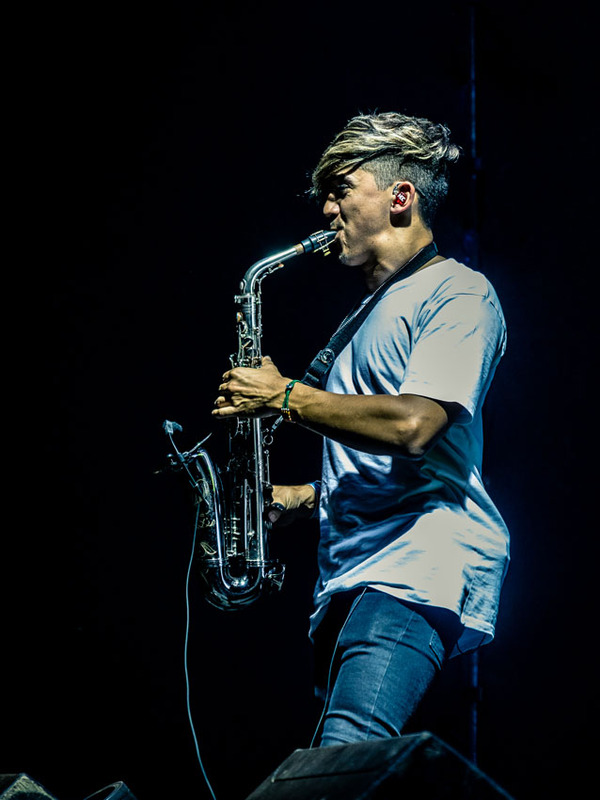 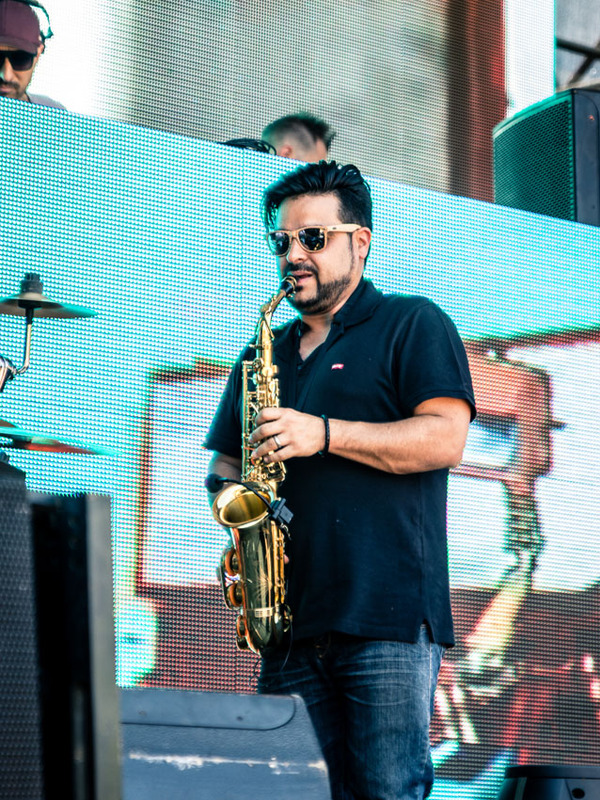 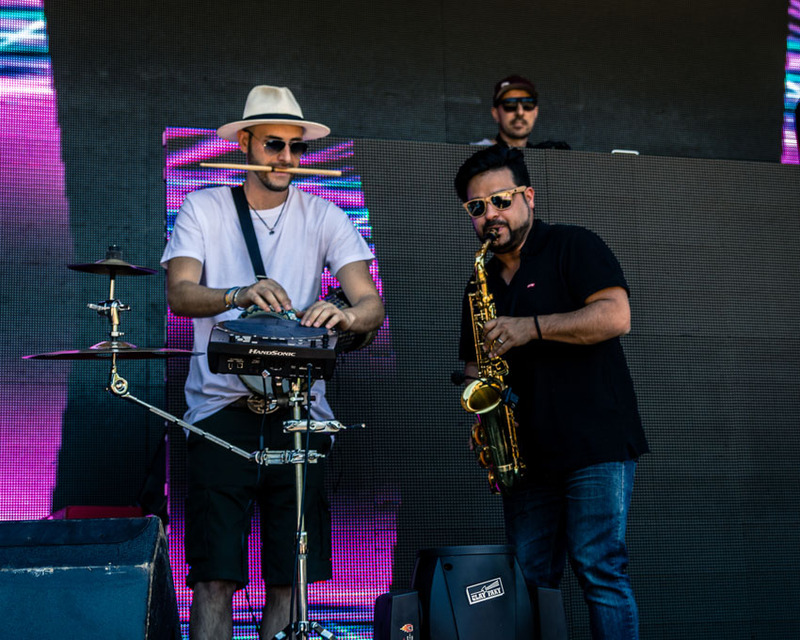 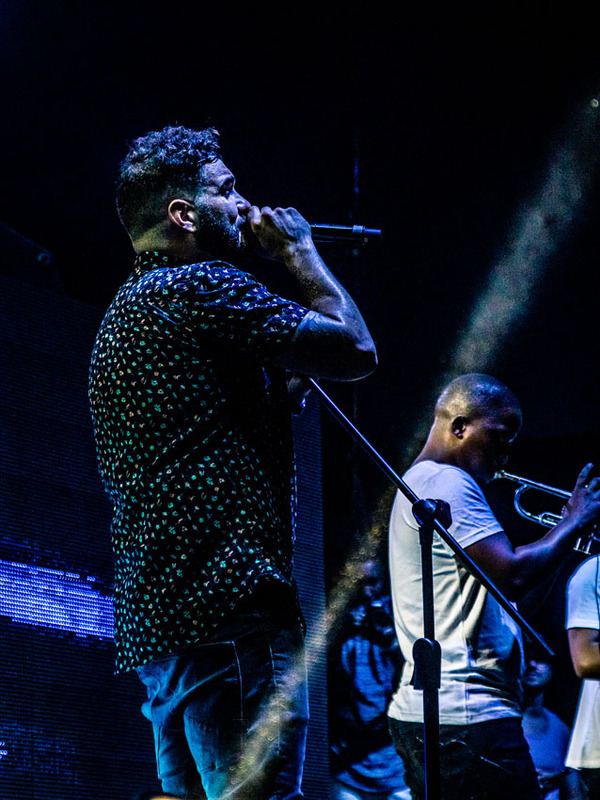 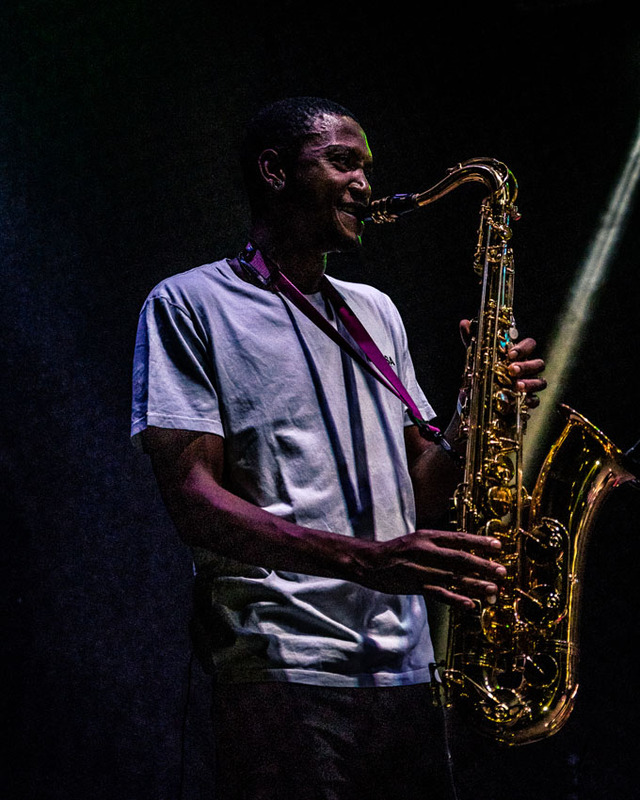 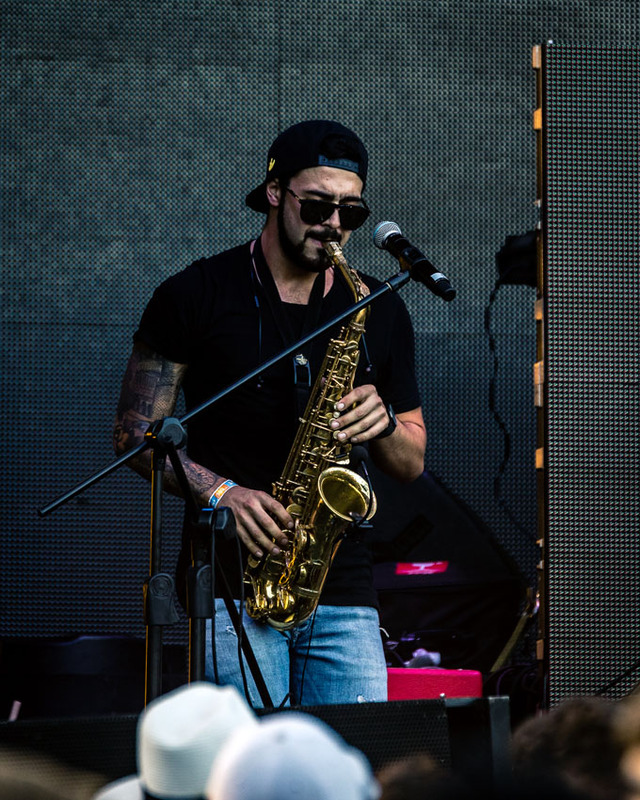 It was a matter of time before the front of the stage had a small crowd losing themselves to the incredibly modest but nostalgic saxophone sounds of Blow, this trio brought about an unexpected house blend of Afro, Latin, deep and tech tunes. 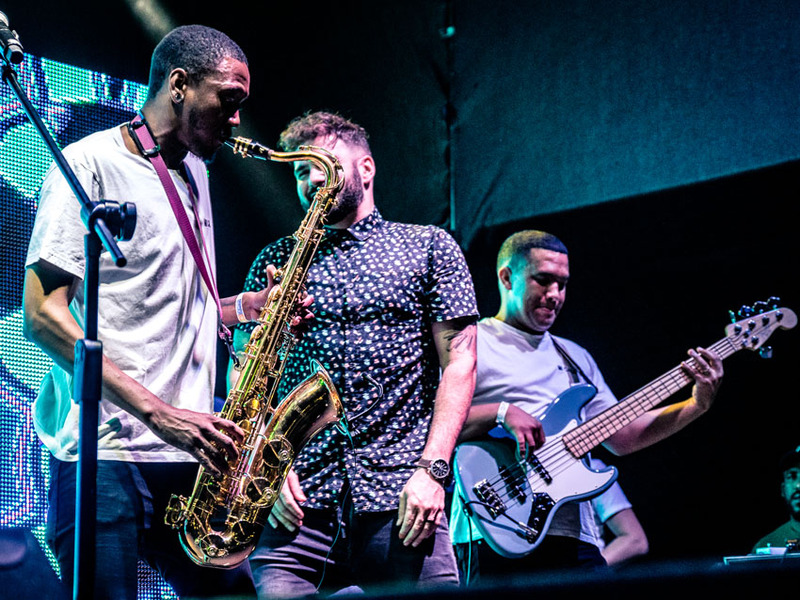 There truly is a different atmosphere when you witness the artists having fun on the stage that makes you want to join in too. 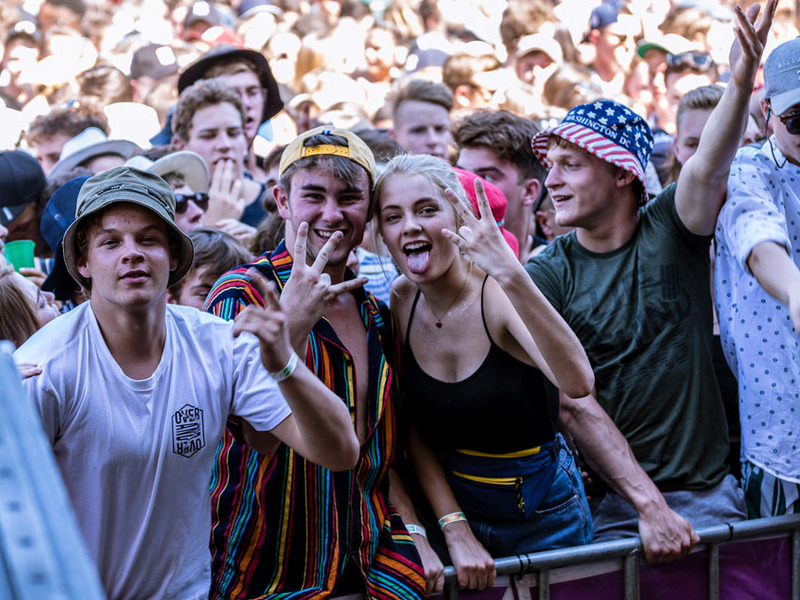 Fists pumping in the air, singing along to golden oldies with that electronic fuse, these guys definitely got the party started. 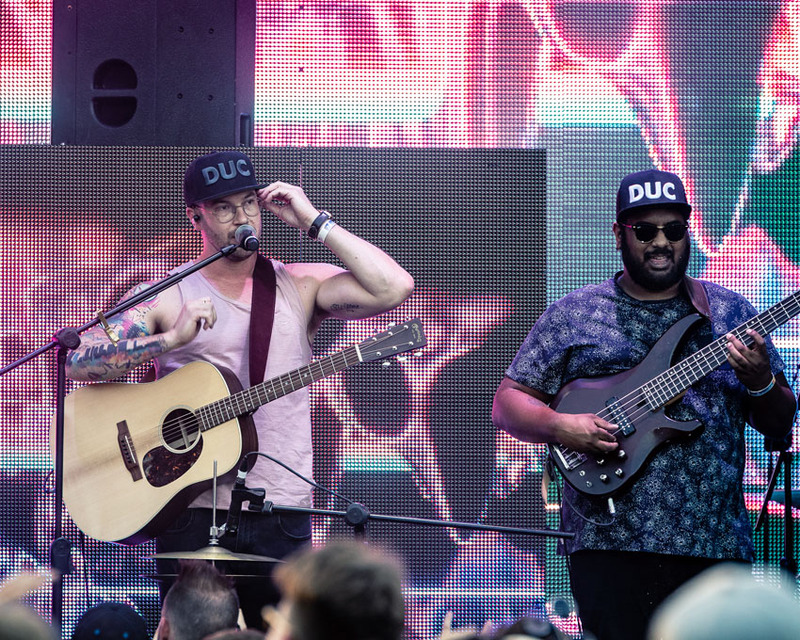 While trying to recover from this insane set, Marc Young and TiMO ODV set the entire crowd off. 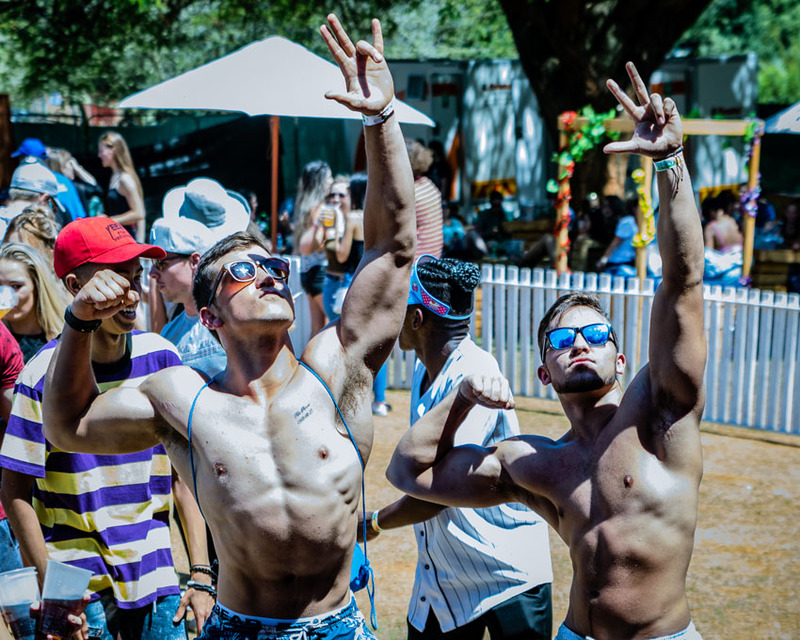 The once white sneakers were now shaded in the dry, rich colours of the sand; dance moves that had been hidden away all year found their way back to happy bodies during the afternoon. 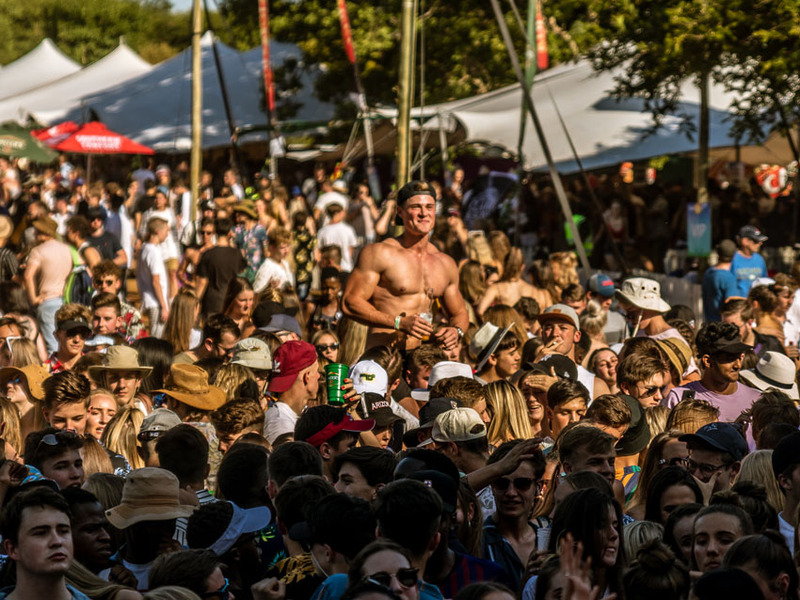 Talk about starting off the festive month on a high! 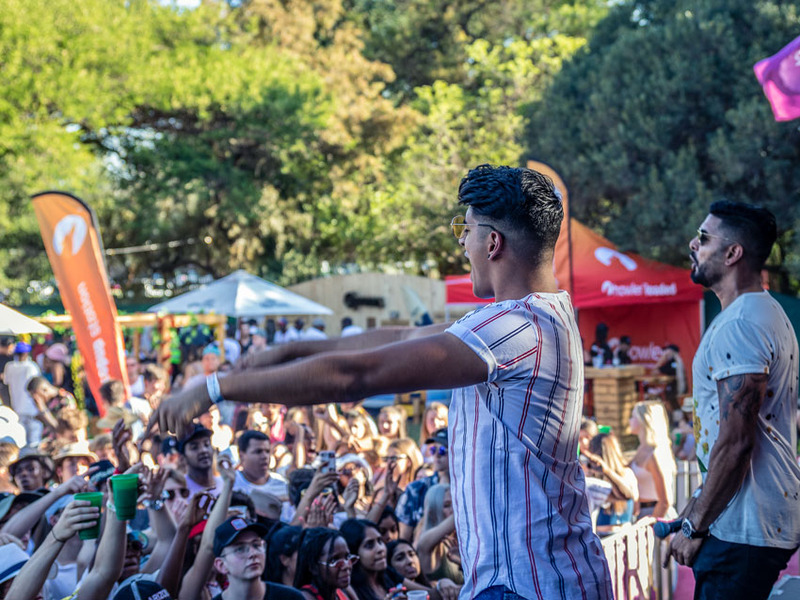 Kyle and Austin Cassim, better known as Cinimin were not gentle on the crowd either. 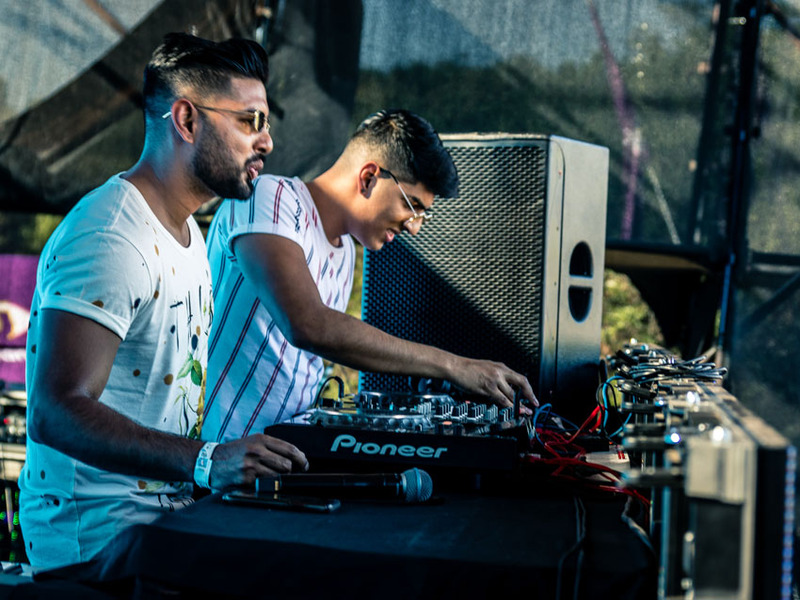 Teasing the crowd with old-school jams like Show Me Love by Robin S before introducing their hot new EDM tracks, brought back memories of jamming during the high school years where tiredness was not a thing one spoke of. 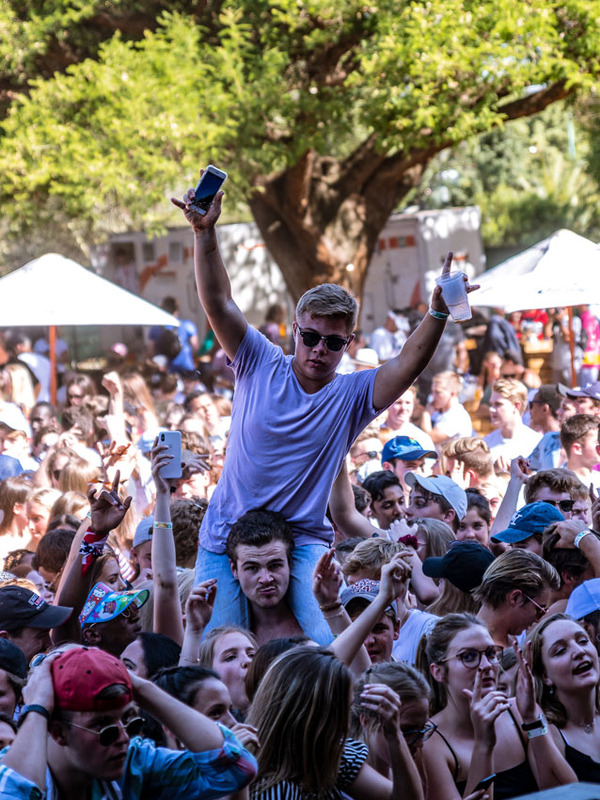 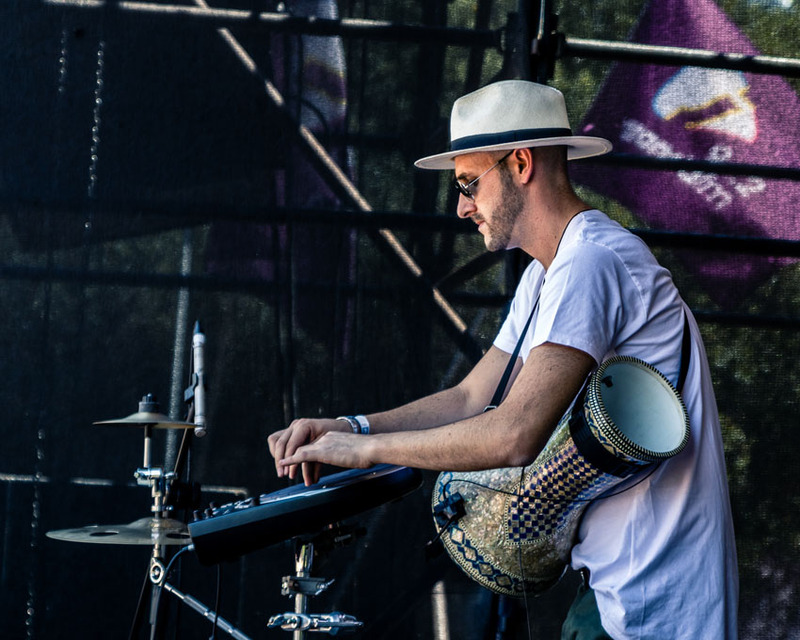 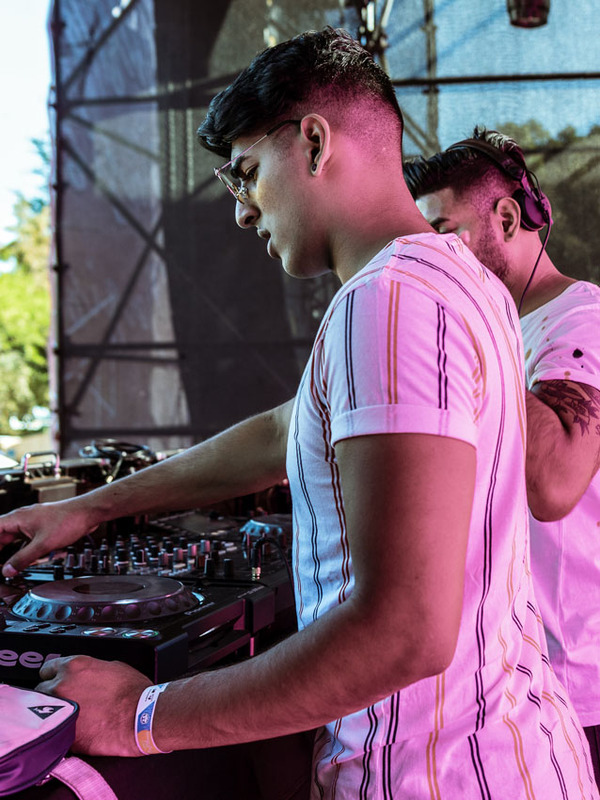 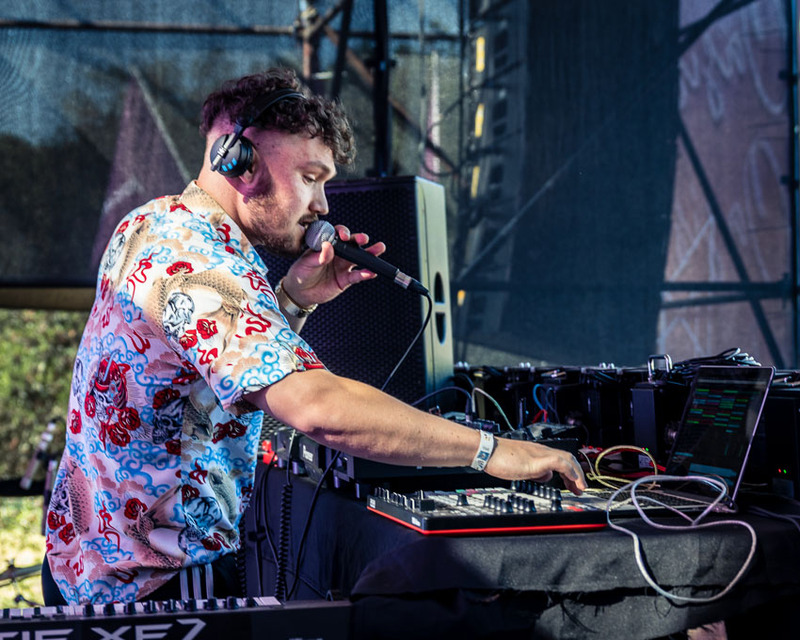 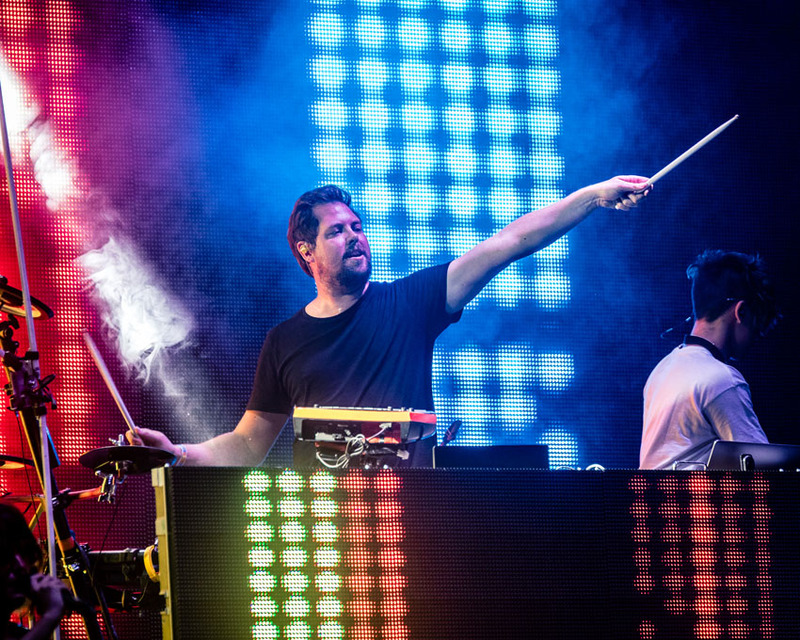 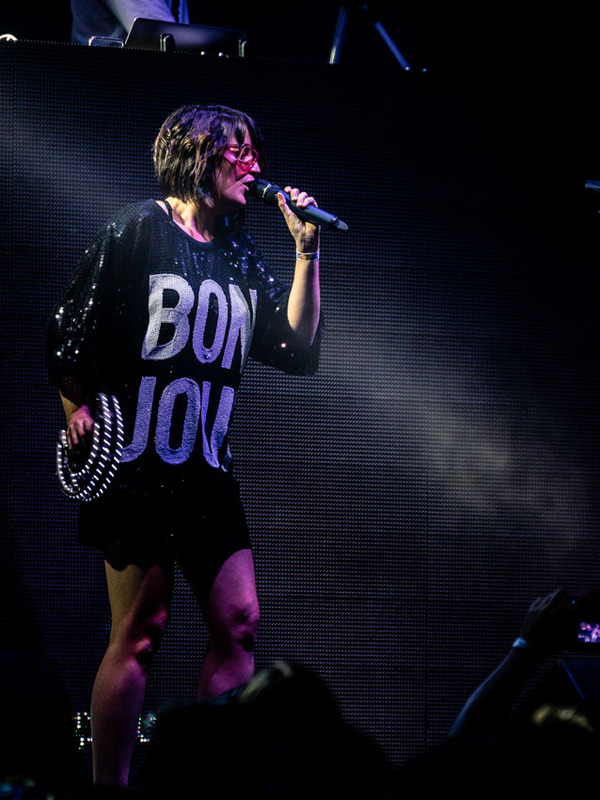 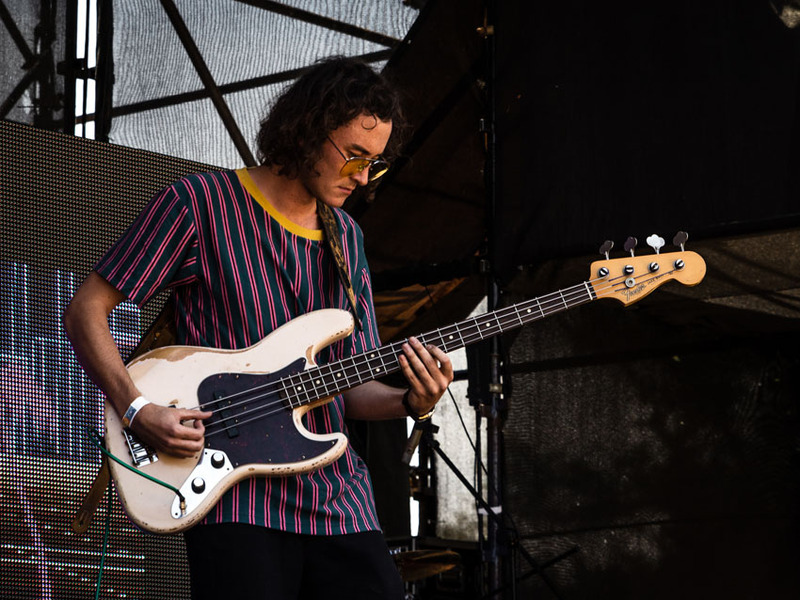 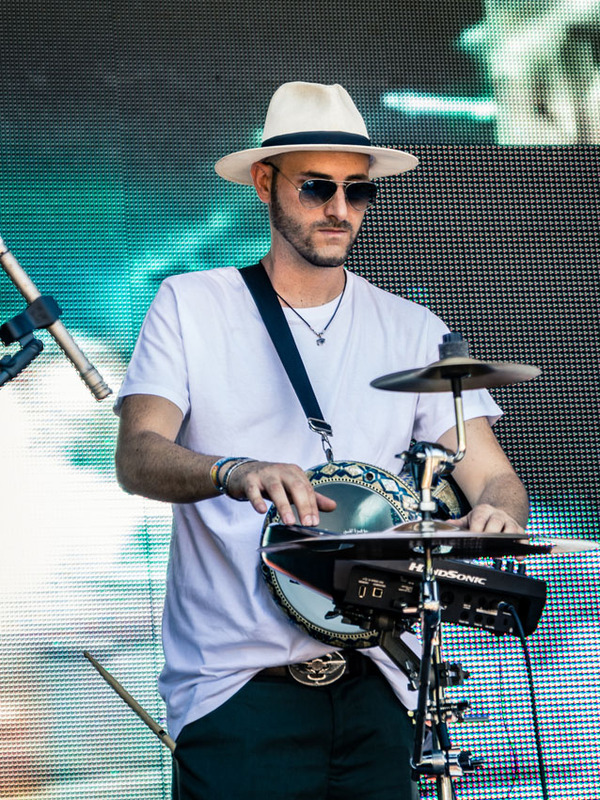 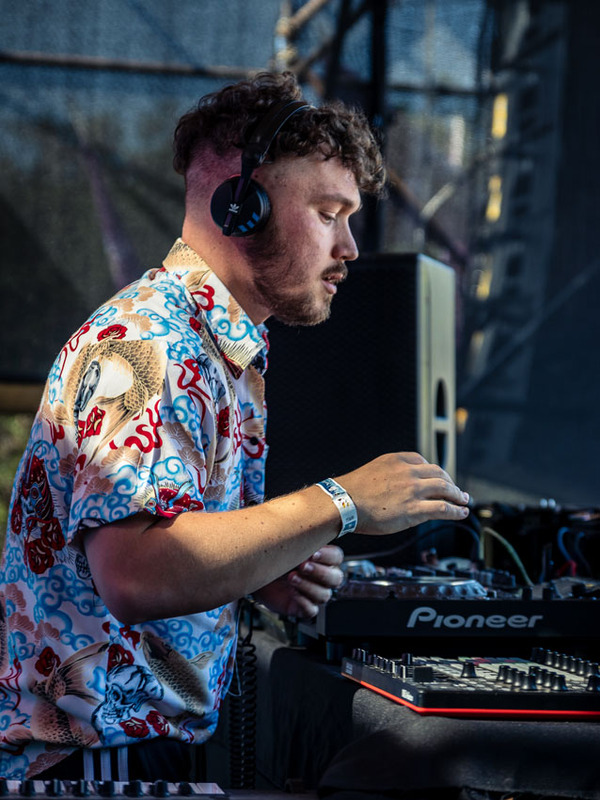 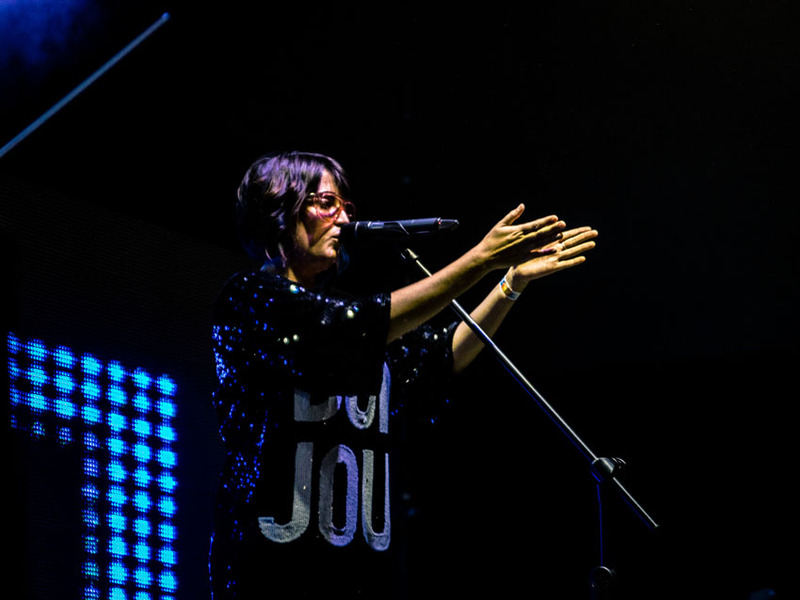 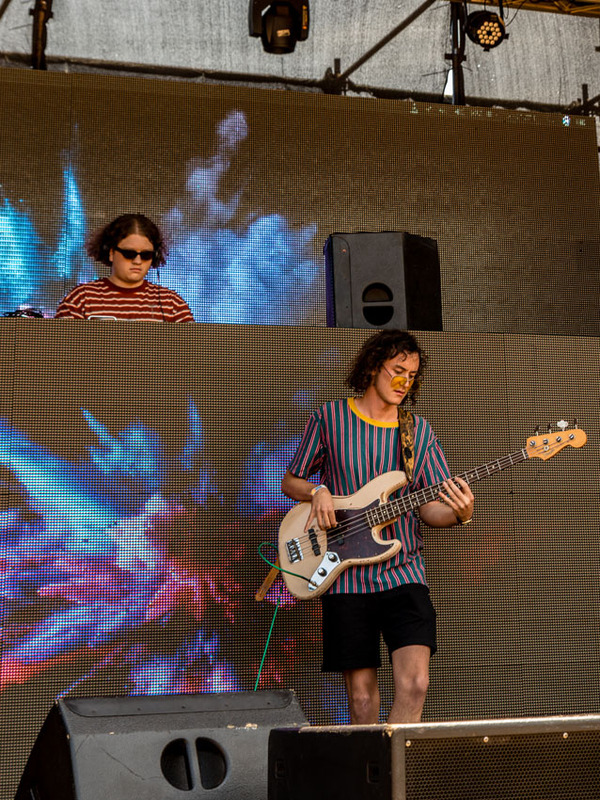 The afternoon was far from over when the legendary DJ, Mark Stent came onto the stage and announced he had a surprise guest joining him for his set, who was none other than the Children of the Sun chart-topping singer, Daniel Baron. 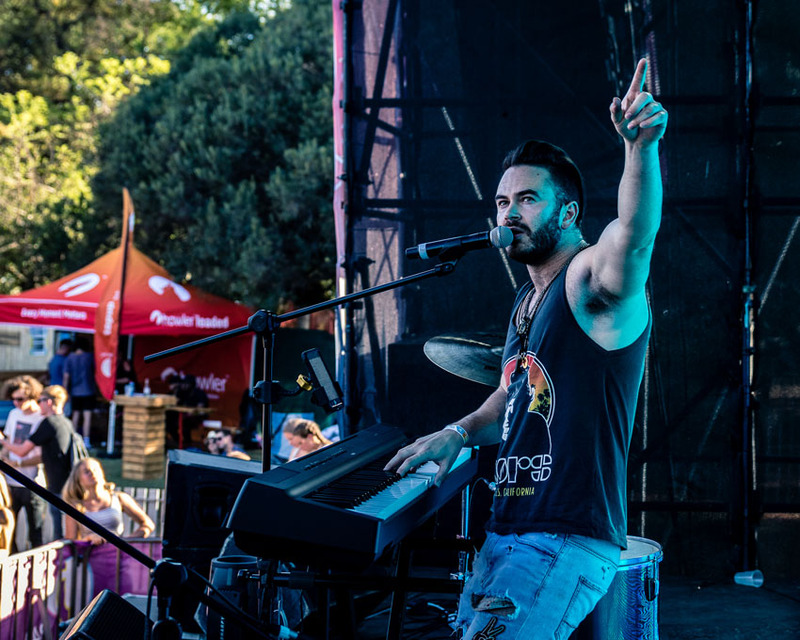 Playing on his keyboard together with his rich vocals, Daniel had the botanical gardens singing in the sunset as the legs started to ache from all the dancing. 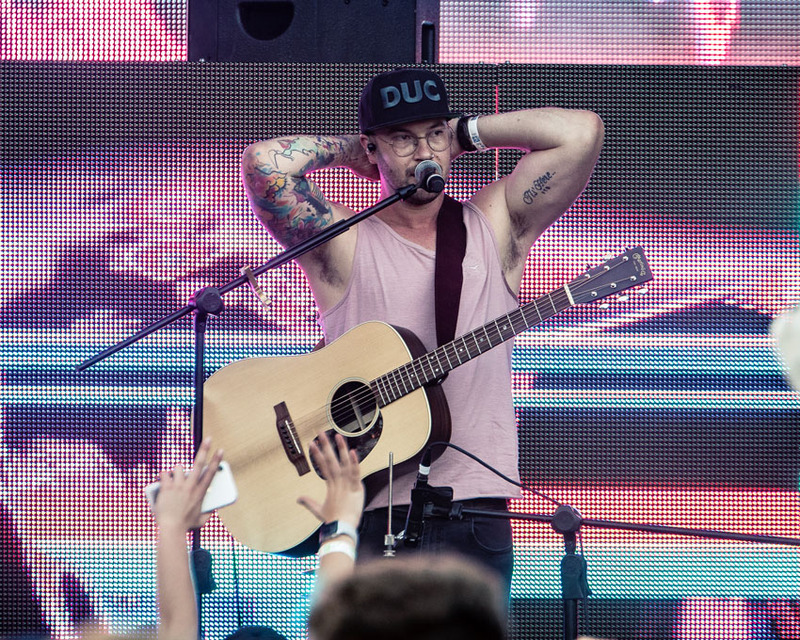 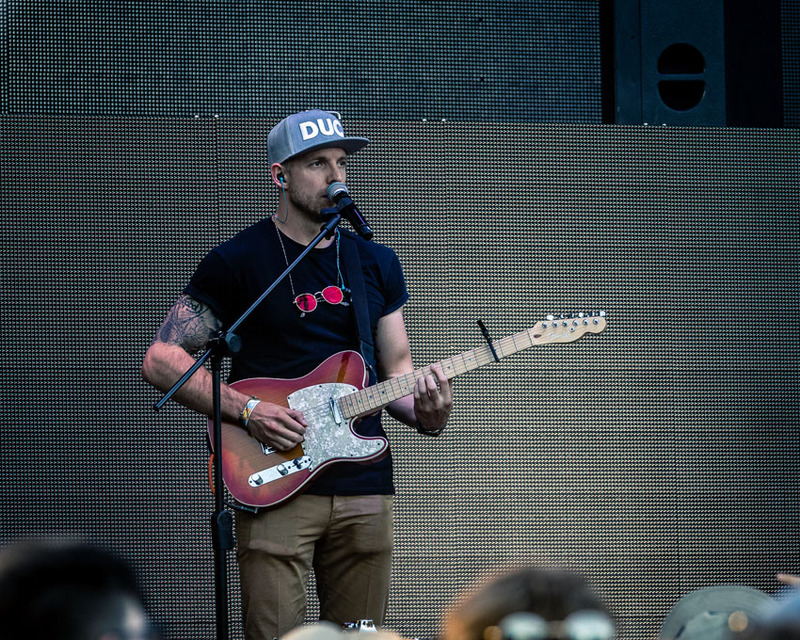 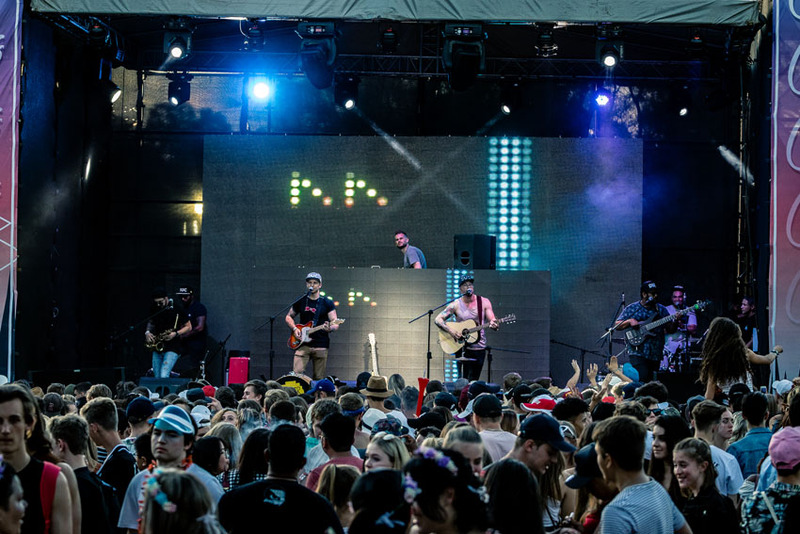 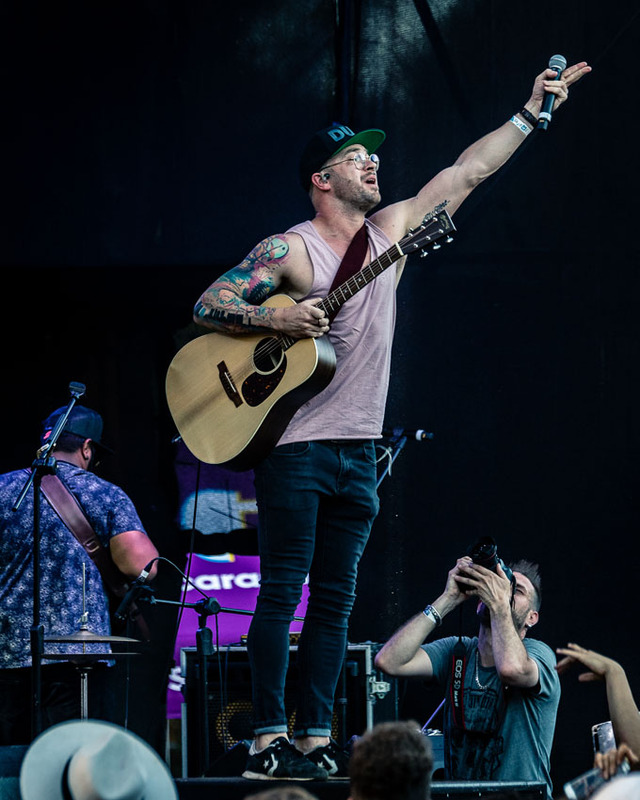 Just as the crowd thought they could have a break, the most popular Roodepoort band, Rubber Duc hit everyone with some good ol’ Disney Tunes from 'The Bare Necessities' right to 'The Circle of Life'. 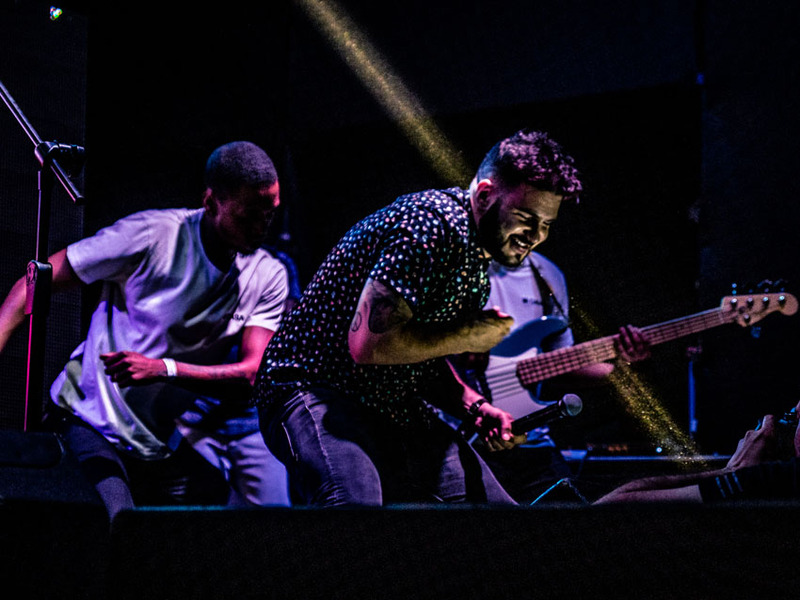 Drums, electric guitars and strong vocals were the order of the day. 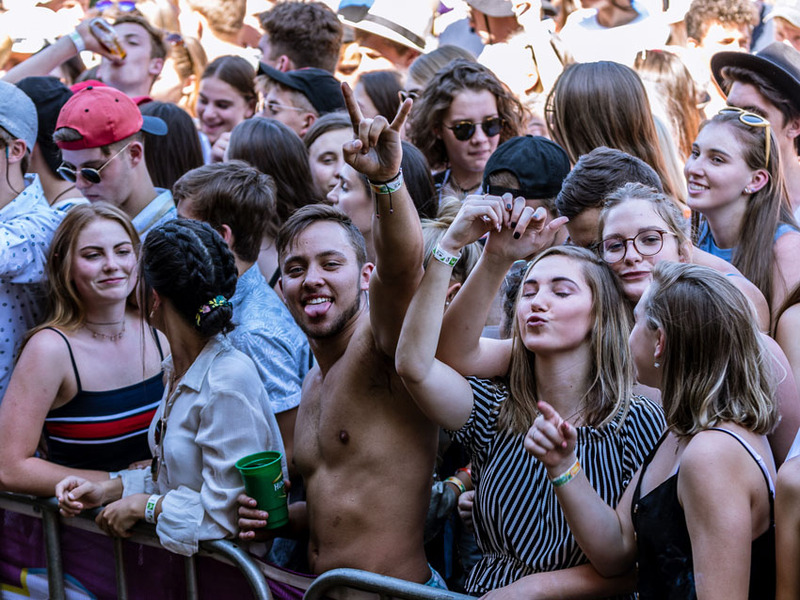 Sun finally down, drinks in the air, their faces masked in dust and, the artists' everyone had been waiting for made their way to the stage. 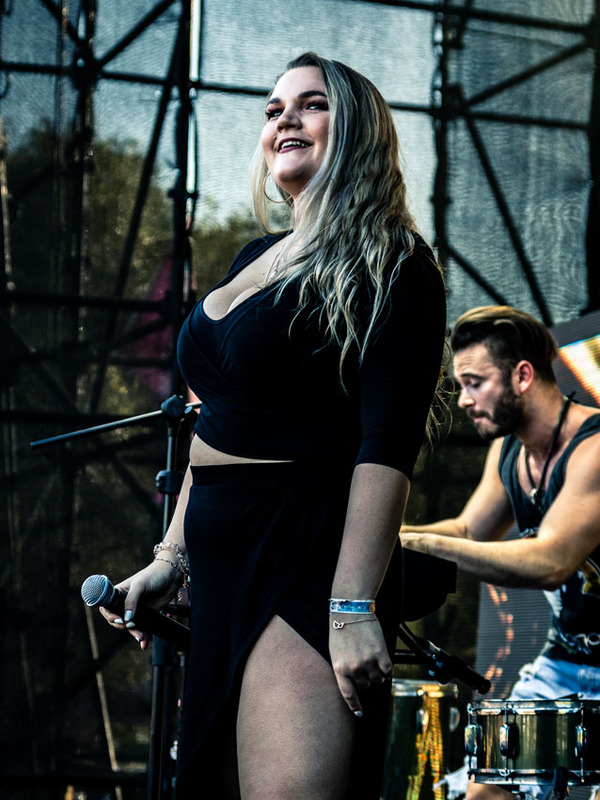 As per usual, Goodluck had the crowd feeling like it was full on holiday time with their feel-good songs, the ever beautiful Juliet Harding, who is the lady vocals of the band led everyone through their old songs and even their new songs. 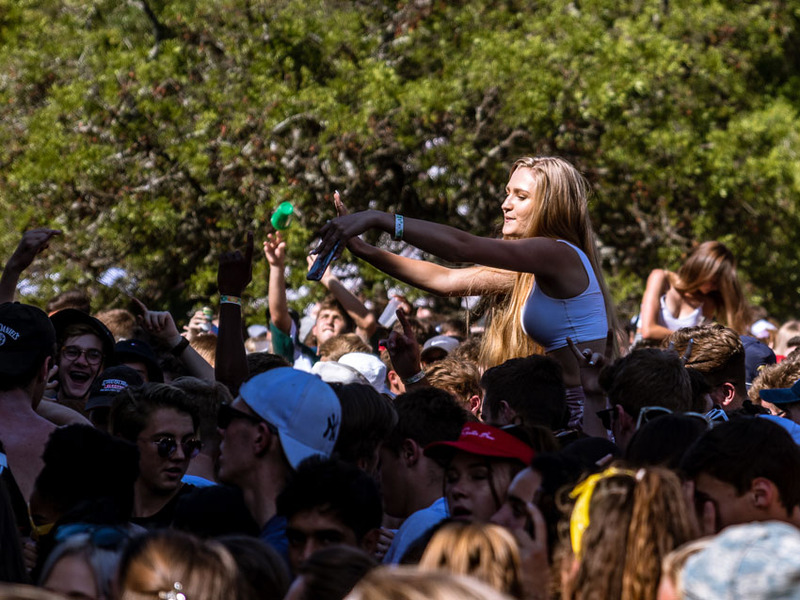 Loud voices, lights, laughter and great jams – this is what everyone had been waiting for. 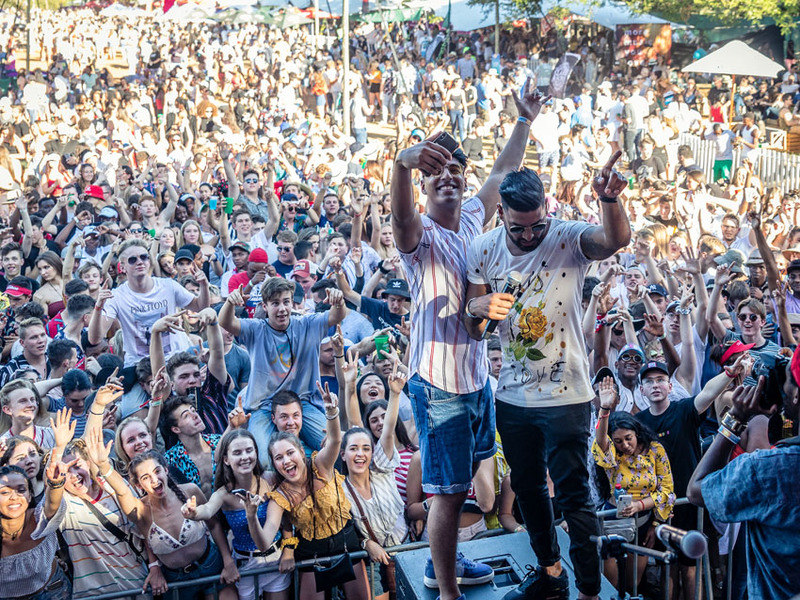 To end off a day of dancing, making friends, taking pictures and Instagram videos, the wonderful Mi Casa got onto the stage and had everybody doing the vosho during songs and taught everyone how to “dance like a white guy” as the handsome J-Something explained. 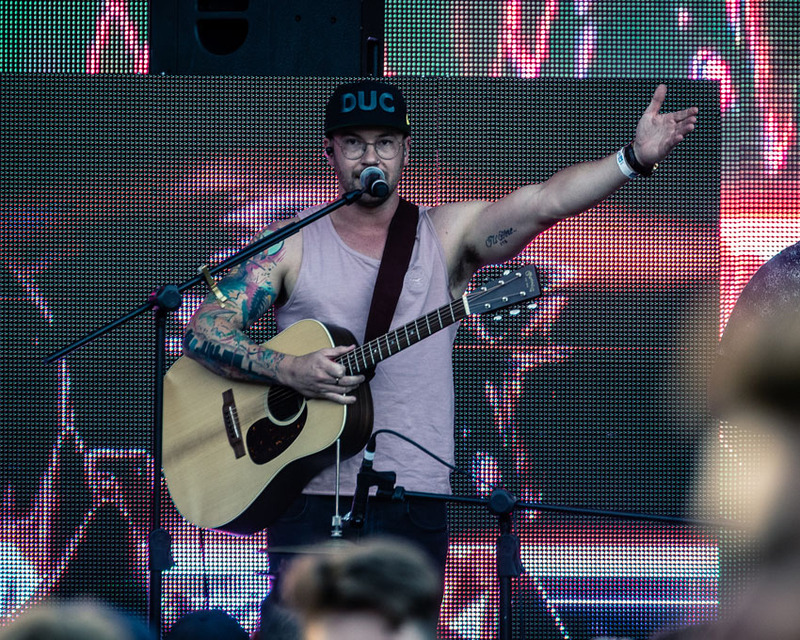 These new dance moves led us into the all-time favourite classic, I Don’t Wanna Be Your Friend. 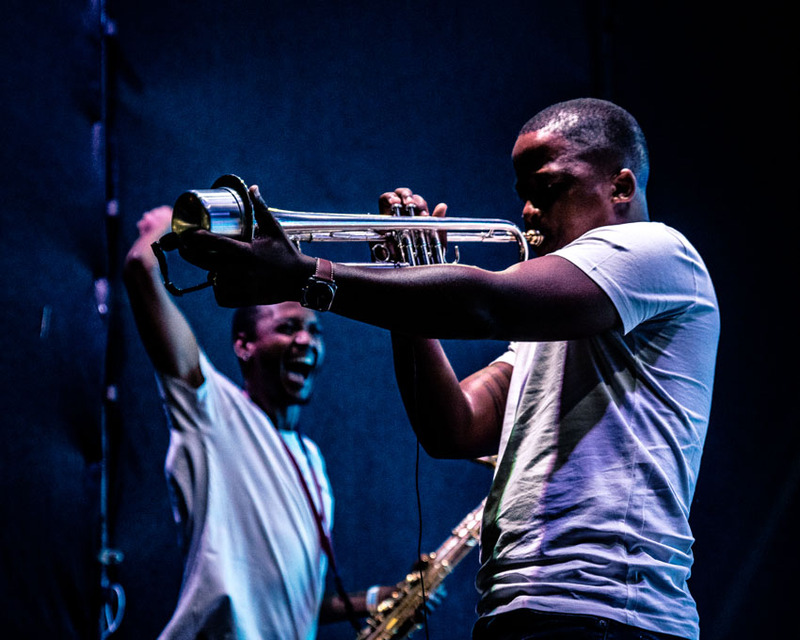 Dr Duda, the trumpets and J-Something’s smooth moves had everyone not wanting to go home and asking for more. 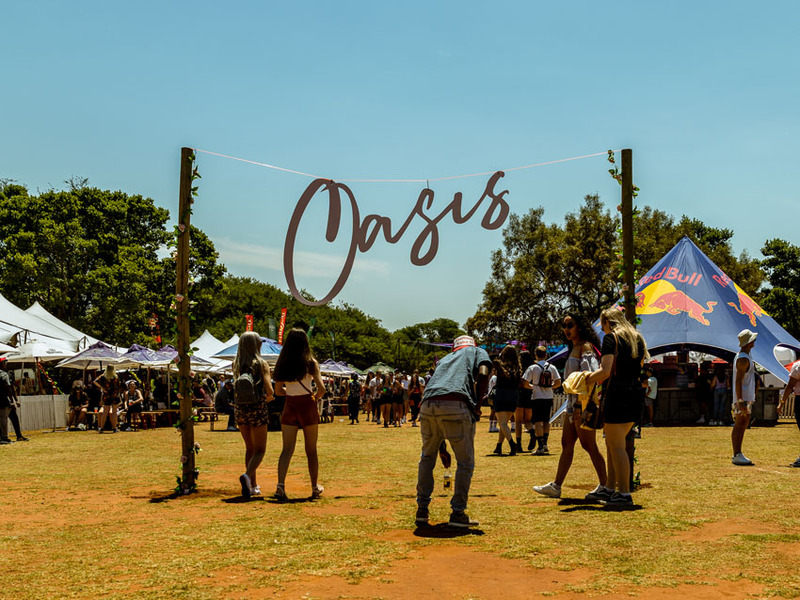 The Oasis Experience together with Jacaranda FM was an incredible day out for people of all ages. 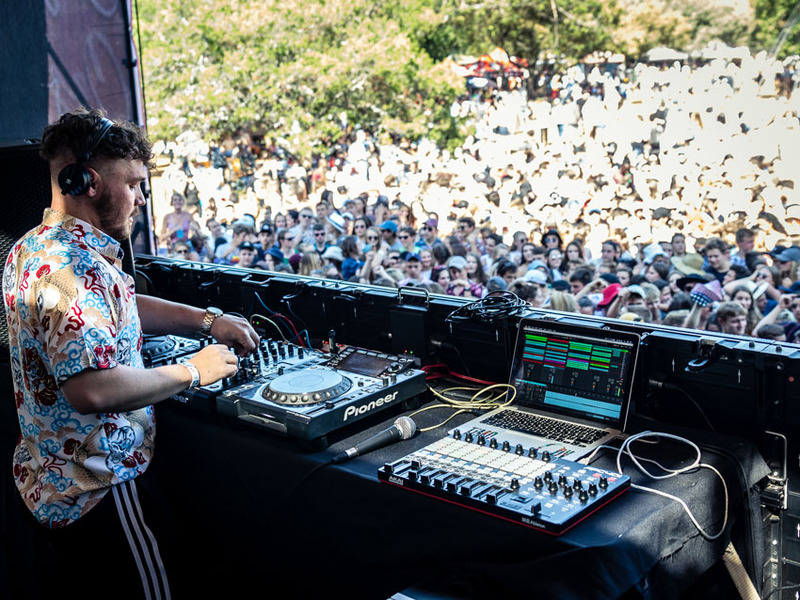 If ever December needed an introduction, a day in the gardens was the perfect launch into a month of winding down and having a great time.